What’s the weirdest thing you’ve had to do at work? We reveal all. It’s when we’re out and about in the field that we really come into our own, however. Each JLA agent or assistant must be ready to spring into action when accompanying a guest speaker or comedian to an event. Specifically: we must be ready at any time to source whatever said guest speaker or comedian might desire. It’s always important to keep the talent happy – and it’s even more important that our clients, busy running the event, don’t need to worry about the odd extra request that comes in. Joanna went on an emergency mission to the centre of Birmingham to buy Nandos for Jason Manford. World-renowned explorer Ran Fiennes asked us to book a car for him. Not for him to get into, just for him to follow, so that he wouldn’t get lost driving to the event. In the downtime between rehearsal and awards ceremony, Rob Brydon wanted to practice his lines for an upcoming play – so I read all the other characters’ lines. Anna had to find a guitar stand for Chris Hadfield, before the JLA Breakfast. When she went to buy one in a local music shop, she mentioned who would be using it. The staff were so chuffed and excited that they let her borrow it free of charge. Rory became very frustrated after carrying Jason Bradbury’s hoverboard around The Crystal conference venue all day – and never once being allowed to ride it. Allan bought Buzz Aldrin a latte. Full fat. Andrew asked a record shop in Birmingham to re-open out-of-hours so that Rudy Giuliani could buy some classical music CDs before flying back to the States. Oliver leads a dual life as Brian Cox’s bodyguard, and routinely has to help him fight off teenaged fans (and some older fans who really should know better). 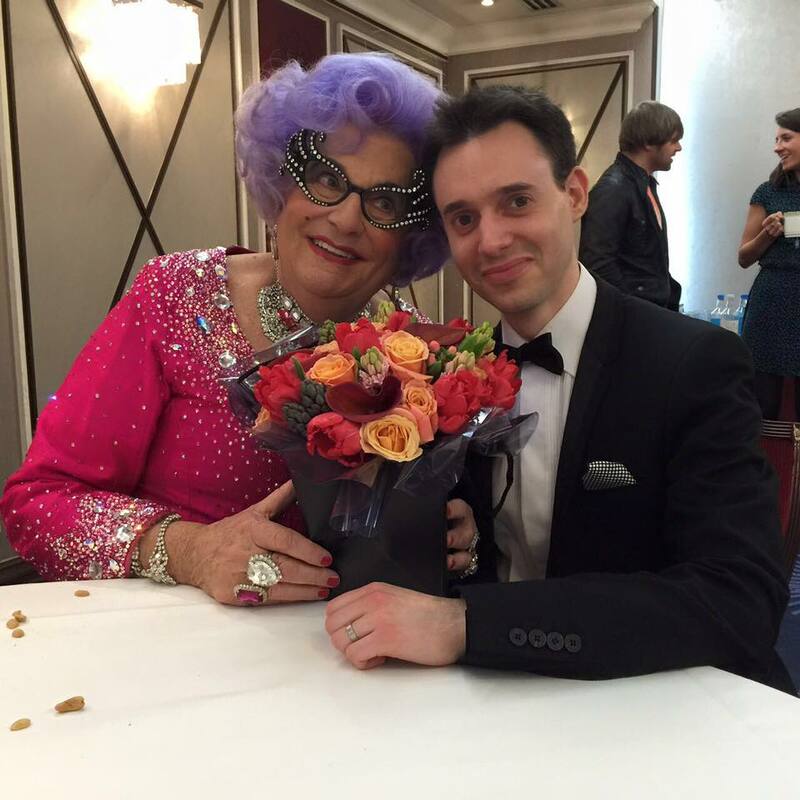 Ben recently enjoyed a close encounter with the legendary Dame Edna. The excitement was only slightly tarnished when she sent him rooting around through Tupperwares of wigs and jewellery to fetch her second, more comfortable, pair of diamante-encrusted shoes. There was confusion all round when James Corden stated that, contrary to his rider, he didn’t actually need the copious amounts of sushi and miso soup that we’d been frantically buying for him. Heroic Barbara held back a certain conference facilitator’s hair as she vomited into a bag moments before going on stage (and then had to dispose of the bag). Jeremy Frewer became an impromptu chauffeur for Jimmy Carr, and drove his shiny Bentley around the block five times to avoid a parking ticket, whilst Jimmy had a meeting in the City. Sarah went shopping for Bob Geldof (on the list: 1 guitar). 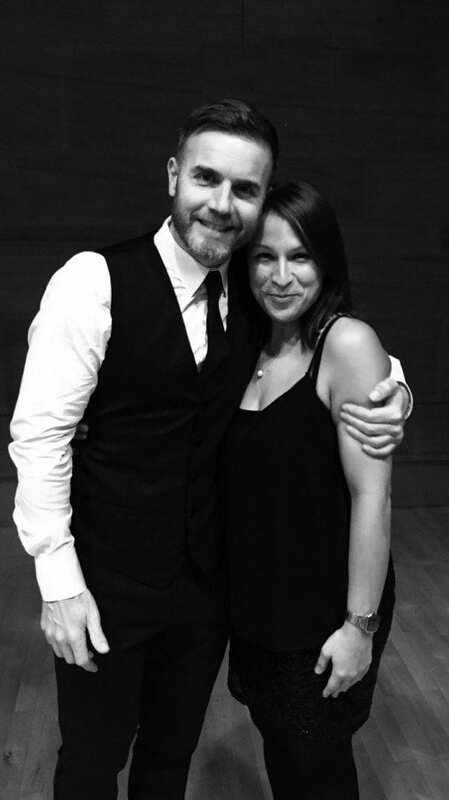 She also cleaned a mini-fridge for Gary Barlow.